I am more of a Marvel girl, but I love Leigh Bardugo’s writing. So I needed to read Wonder Woman: Warbringer. I did not like it as much as I hoped, but it was a great read. 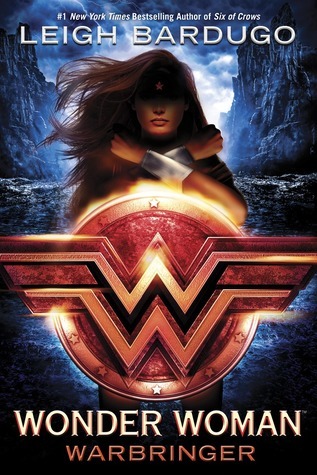 I give Wonder Woman: Warbringer by Leigh Bardugo four out of five hears. I love Leigh’s writing so much. She is really great in coming up with great dialogue and a good story. I got a bit confused when I started reading because I thought the novel was a companion to the movie or something. But it is not. In the movie Diana is a grown woman coming into contact with an adult during WW I. But during this novel Diana is around 17 and Alia is a girl from modern America. Of course I am aware of the multiple timelines in the comics and such, but I had some trouble letting that go. Diana is an established character, so there is not much to say about here. Leigh kept her the way I know her from the comics and the recent movie. So might have been a little bit more insecure than in the movie, but on the other hand, she is much younger here. Alia is a new character and she is great. I like her modern insecurity and her way of trying to reason with herself to stay sane. The book is written with two POVs and it helps the story enormous. The first POV of course is Diana’s, the story is about here. The second one is Alia’s. The difference between the two POVs was pretty clear. The chapters that were from Diana’s POV started with part of her signature and those from Alia’s were just a clear line in the same style, but different. I liked that was so clear to see which chapter was from which character. I found a couple of details that I thought were a bit sketchy. Like when they jump with parachutes out of a plane, with trackers in the chutes. They land pretty far apart, but when Jason checks the scanner, all of them are pretty close together. It could just be like that one character was so much further away they it seemed. But it did not seem like that. Overall I did not think Warbringer was a bad novel, it was all most completely perfect except for these few things. I enjoyed it very much and loved the twist that came at the end to make the story complete sense. This entry was posted in Book Review and tagged Adventure, Book Review, Comic, Fantasy, Leigh Bardugo, Mystery, Romance. Bookmark the permalink.